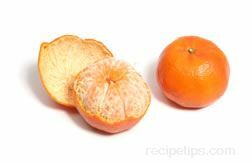 One of the larger varieties of tangerines, which has a thin rind that is deep orange in color and easy to peel. The juicy flesh is also deep orange in color and has a sweet flavor. It is available from the middle of October through November.